The November clothing give away was very successful. 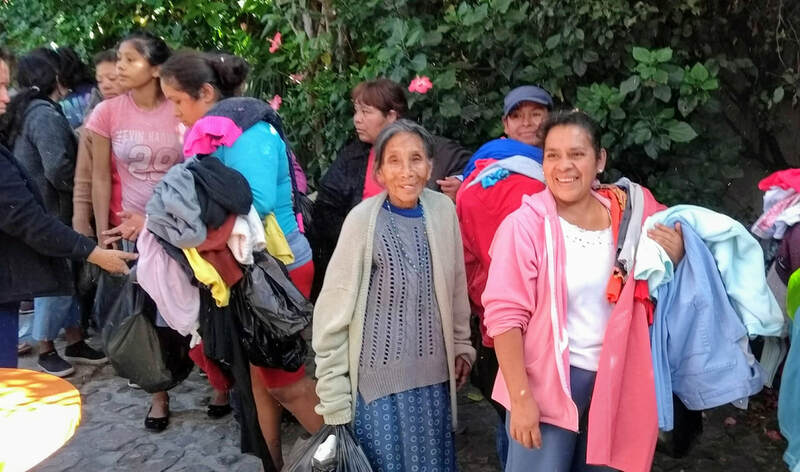 We were able to provide over 200 families in our village with between 20 and 40 items of clothing. Our next clothing give away is in May. Let us know if you have items to donate or bring them over to Viva Mexico. Your waiter/waitress will know where to put the clothing. Special thanks to Mia's and Terry's Tianguis for their donations. 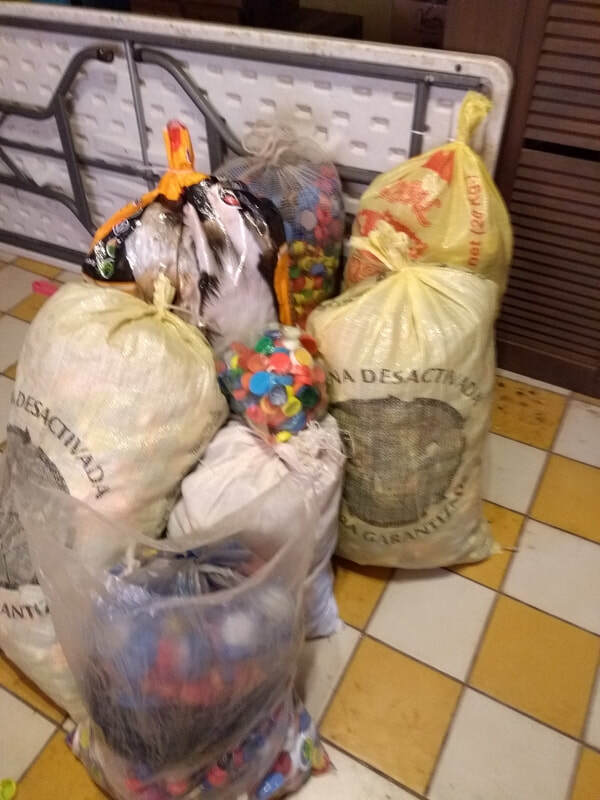 We are all collecting bottle caps, especially our recipients. These go to Rotary which brings them to Guadalajara for the special children's cancer fund. 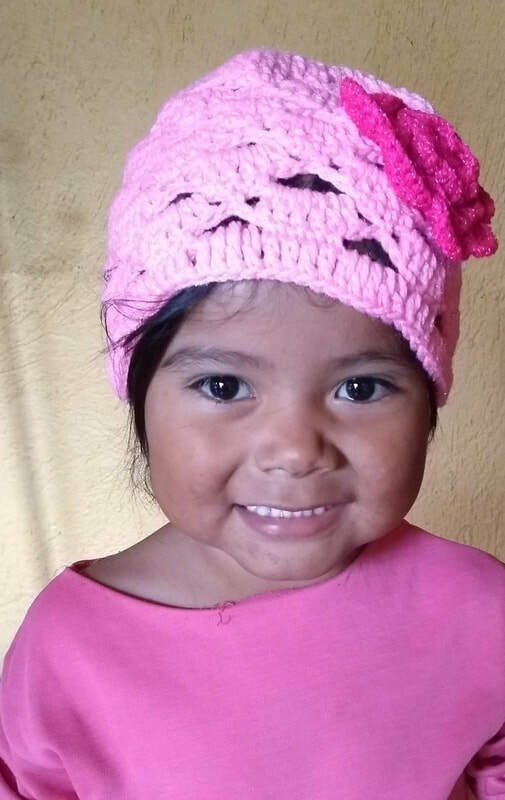 Our Crochet Team has been very busy making hats, scarves, bottle covers and more. They were at many parties and Christmas events. Now they will start on some new products that are good for any season. Special thanks to St. Andrews Church in Riberas. They have supported us in so many ways. 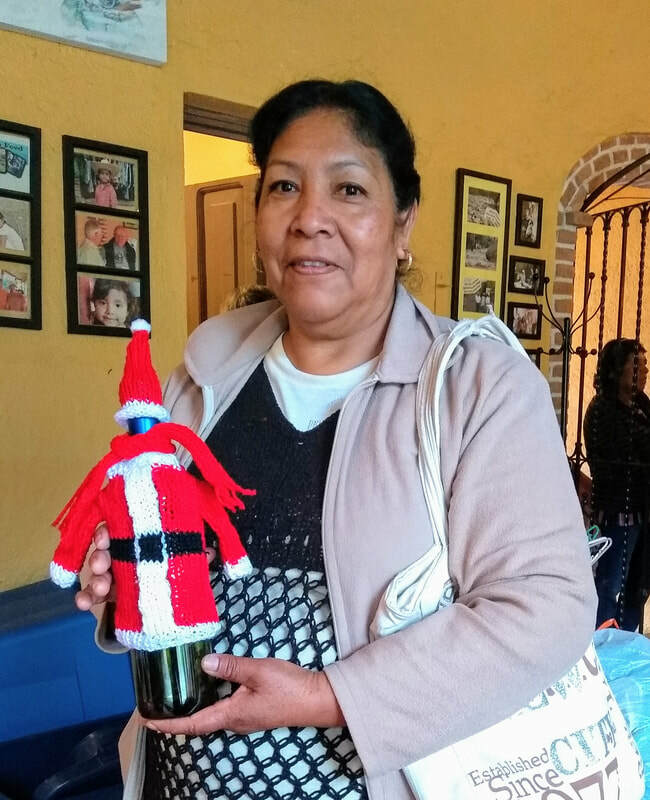 Each week many parishioners bring a food item that gets added to our despensas. That means about 15 lucky families get something unexpected in their food bag. Operation Feed continues to honor its original purpose ... to make sure that the neediest villagers have adequate food. The despensa program has grown to 109 families, serving over 550 people. 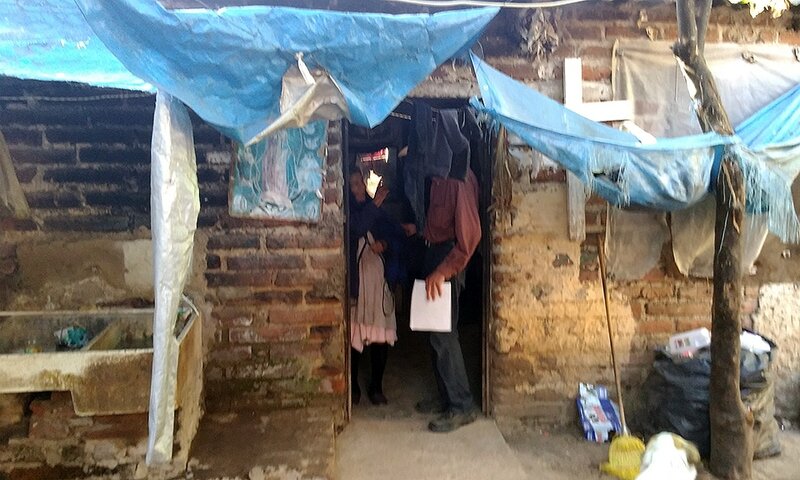 Agustin and his sons pick up despensa items in Jocotepec twice a month. People work at 8:00 a.m. Thursday mornings packing the rice, beans, soy, and oats bags. 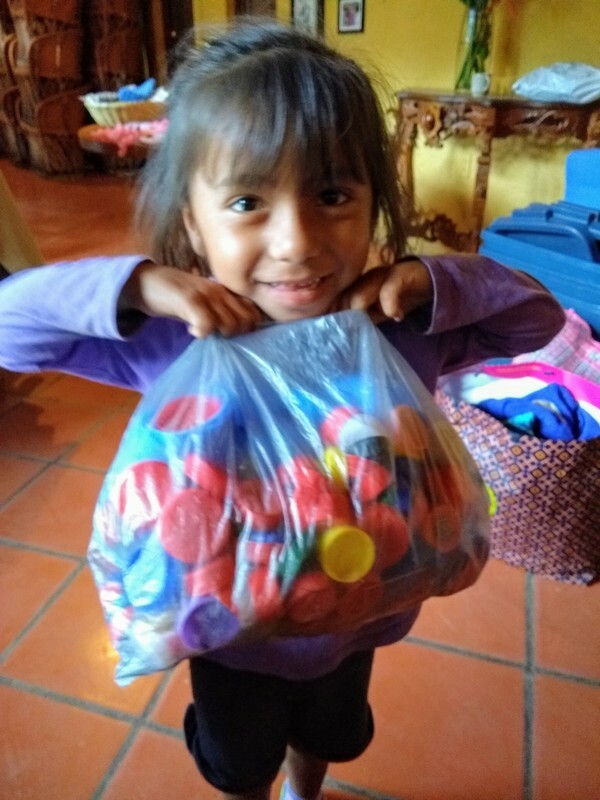 Another team comes to Viva Mexico during the week and puts all the items into each family's despensa bag. Each Egg Lady Team comes once a month to box up the eggs. And Nora (one of our recipients) buys, chops, and bags the fresh vegetables twice a month. Despensa bags include rice, beans, oats, soy, a bottle of cooking oil, eggs, 3 bags of pasta, a bag of powdered milk, tuna or vegetables. 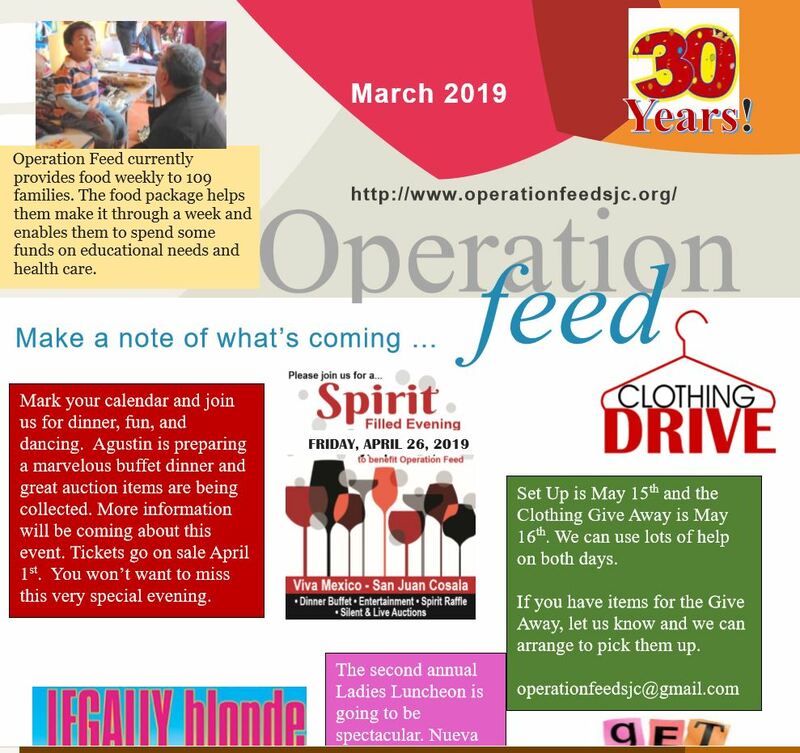 Beyond the despensas that are provided, Operation Feed has expanded to serve other needs. 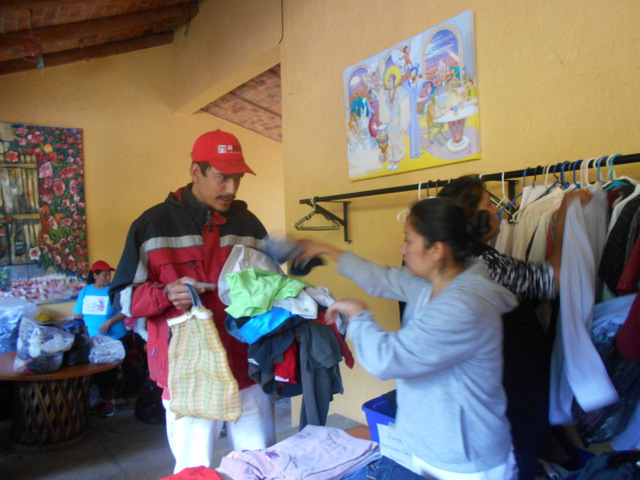 We are helping to provide wheelchairs, canes, walkers, portable toilets, and glasses. English classes are offered for free to all villagers. Clothing is provided twice a year. 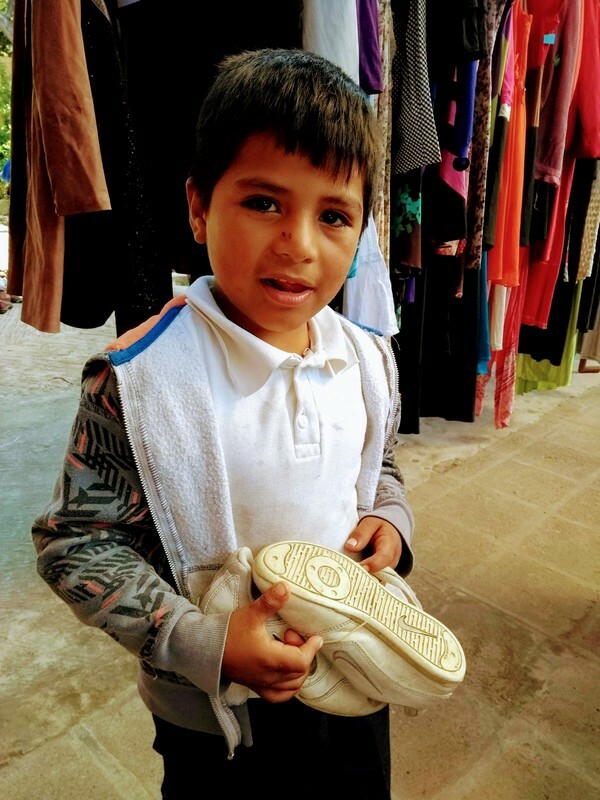 School shoes are given to each family. And small business opportunities are supported. 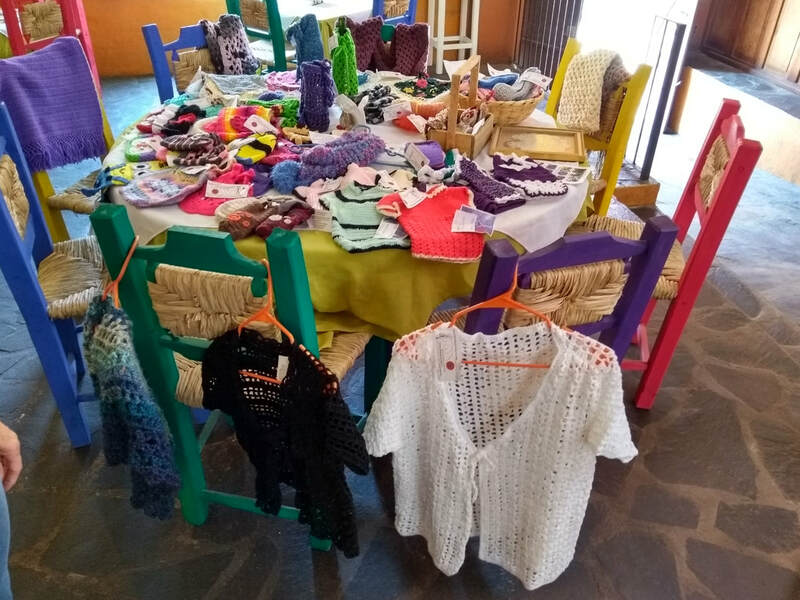 This past year our efforts have been to support our Crochet Team. Want to know more about Operation Feed and the work that it performs? ​Click on the buttons below to find out more about each project. ​Every week volunteers donate their time to purchase, prepare, and distribute food packages to 109 families, totaling more than 550 people. This bag of groceries might keep a family from extreme hunger or let that family spend their money on bus fare to get children to school. Whatever way it helps, it makes a huge difference in their survival. 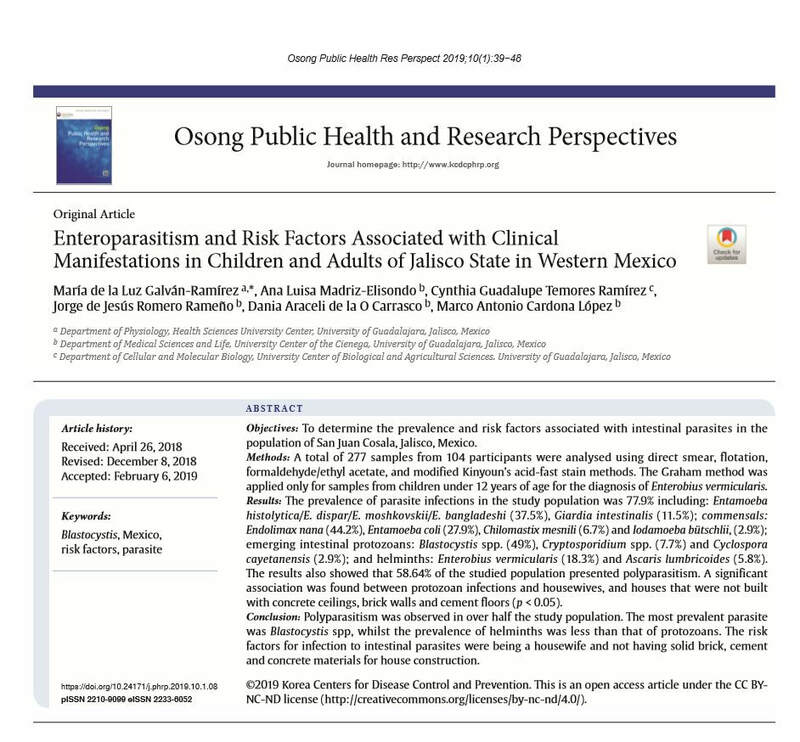 The cost for 109 families? About 32,000 pesos a month. That's about 300 pesos a month per family. Check out the home delivery program. Following Agustin's lead, Operation Feed is supporting English classes. Agustin believes learning English and taking part in responsibility building programs are keys to improving the family's economics. The classes are for anyone in the village - ages 8 and older. 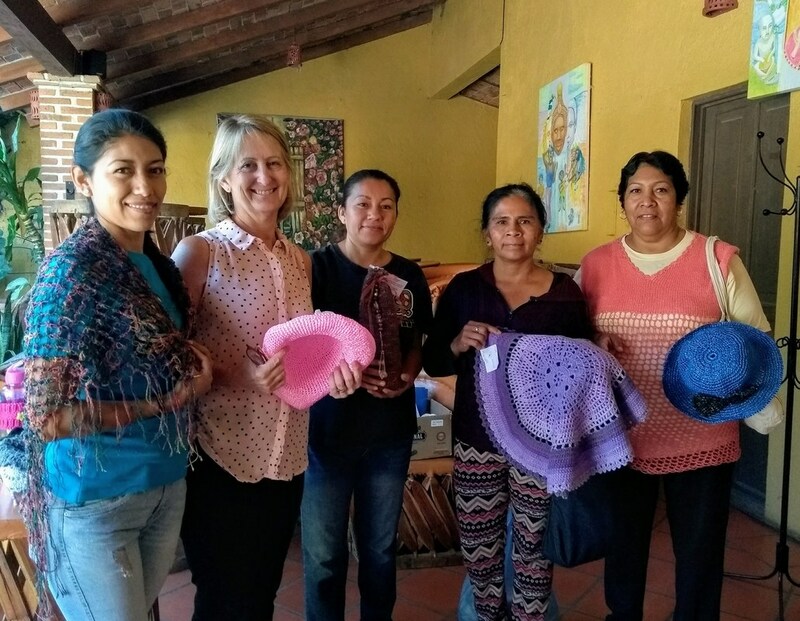 With the guidance of Janine Kirkland, a group of village women are making items that are useful and beautiful. Hats, rugs, shawls, glass covers to keep bugs out of the wine, scarves, dog coats, and more. All the yarn and beads are donated; all the profits go directly to the women. Making 200 pesos a week can mean so much to our women. Consider hosting Janine and one of the women at a club meeting or party. ﻿What new and interesting dishes can be made with the items given in the despensa? Lynn Sim has stepped up to the challenge for this year. She has met with the women to learn what they would like to know about using the items in their bag. She has now begun offering cooking classes to small groups and providing them with tasty and healthy recipes. 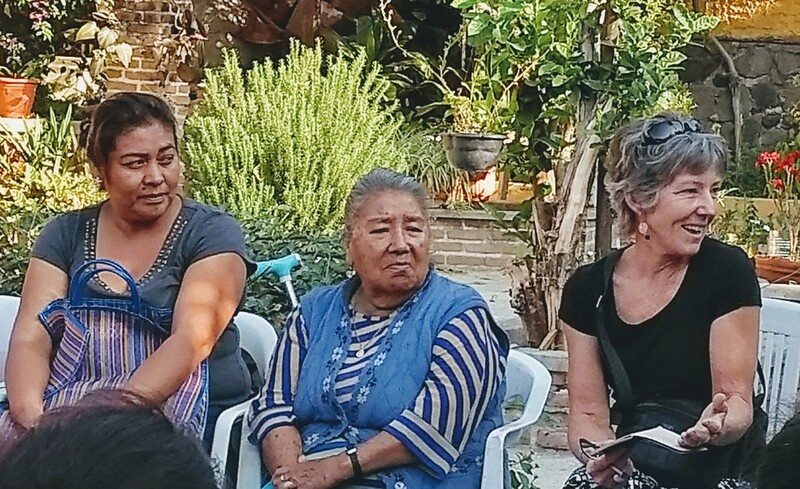 Helping the women learn to create nutritious meals is a challenge given the facts that they have little money to spend and need to be one pot, open fire, no oven recipes. 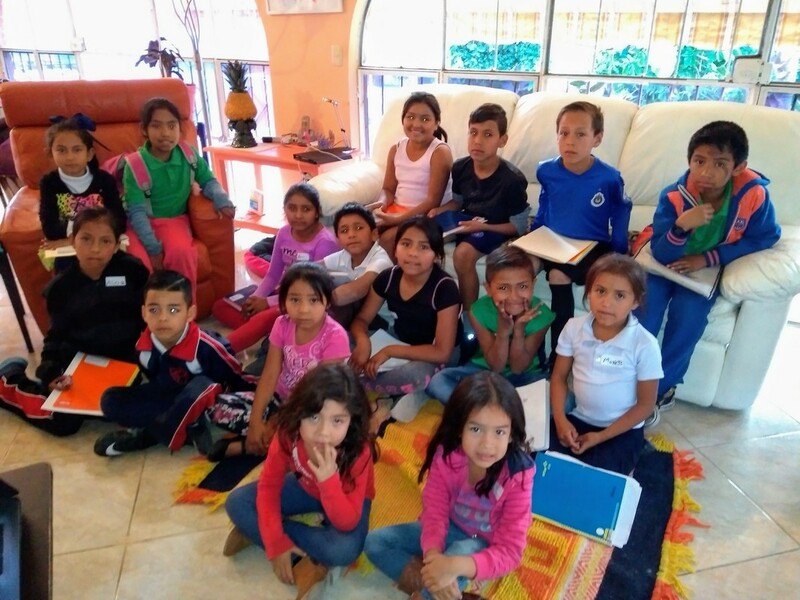 The Egg Ladies Program began with the desire to increase the nutritional content of the food despensas that are handed out each week to Operation Feed families. The women pay for the eggs and then come to Viva Mexico to package them. Depending on the size of the family, they receive either a full dozen or 1/2 dozen eggs. 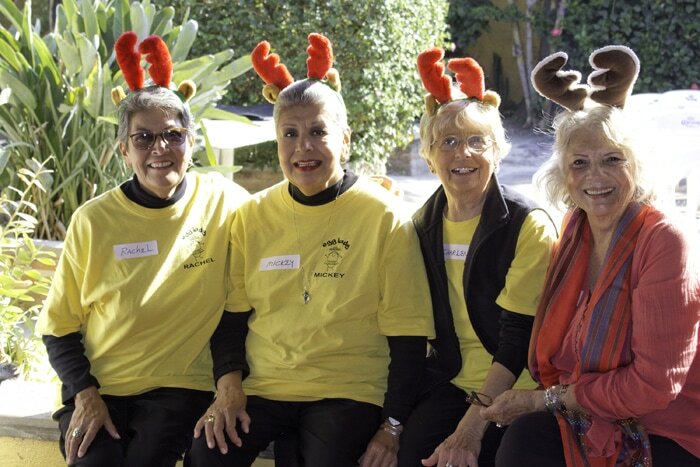 The Egg Ladies also do a number of other special projects for our recipients and have a lot of fun doing them. Operation Feed works to fill the special needs of our families. 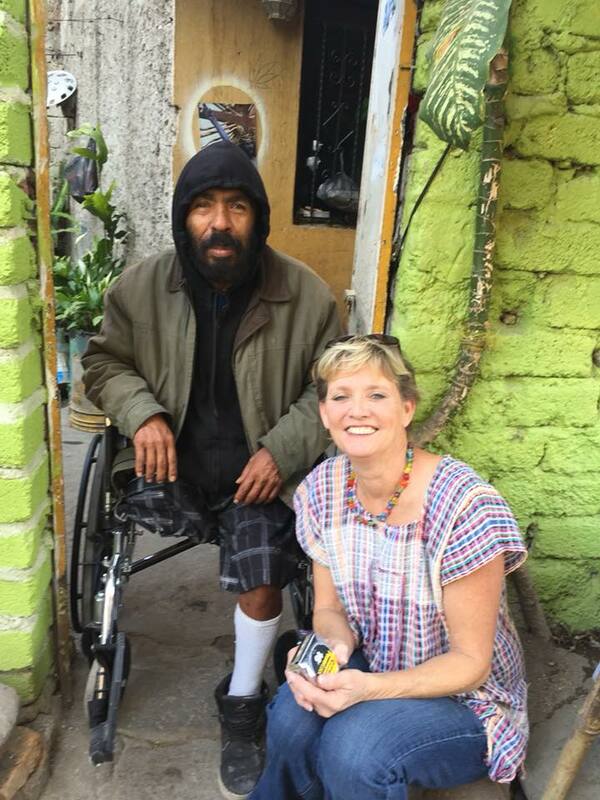 Filimon needed a new wheelchair and Lisa made sure she trucked one down from Portland, OR. Many of our clients have vision problems, so between Tom, Buddy, and Laura we are able to provide both prescription and readers. If you are renovating, please let us know. Especially given the cold, our families can use old cabinets, doors, windows, sinks, etc. 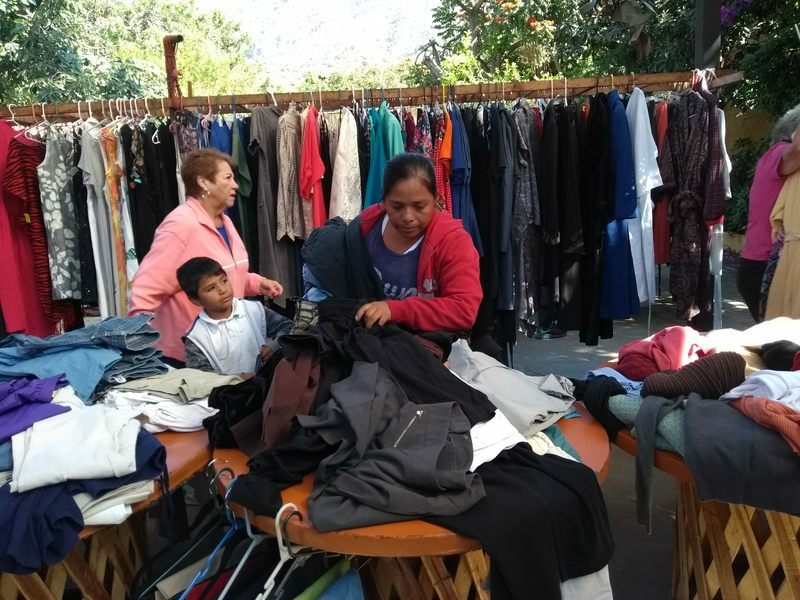 One of the highlights for the people of San Juan Cosalá is the clothing drive. Many of the volunteers at Operation Feed work collecting clothes for the families who receive the weekly food despensas, as well as other families of limited resources in the village of San Juan Cosalá.. In May and November, clothing is made available for these villagers. 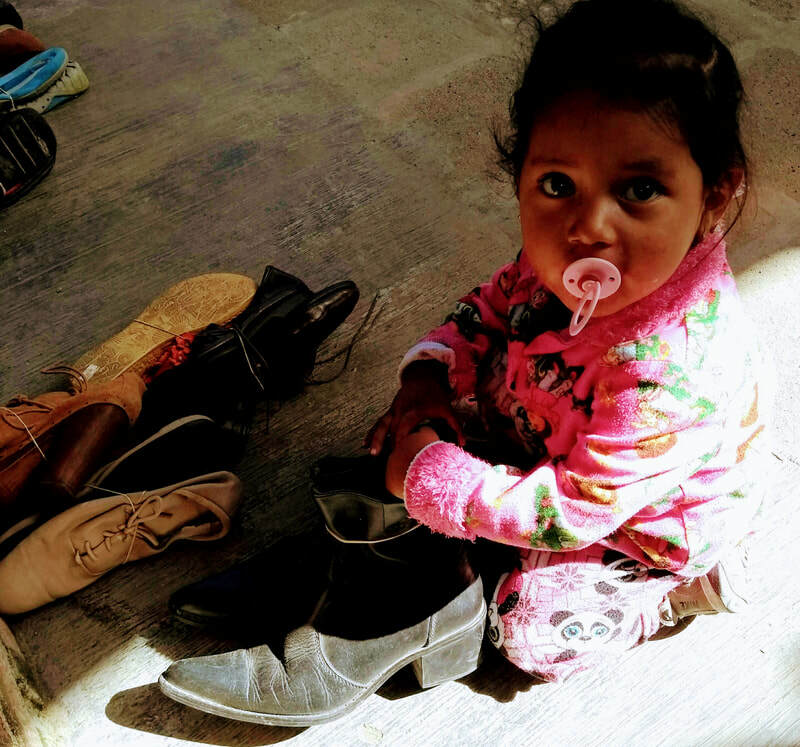 Clothes and shoes for the children are especially needed -- babies through teenagers. Bringing clothing back across the border? Here's a letter that you can show if stopped.